MOCK Studio and rethinkLA, a collaboration of architects, planners, and artists have launched an exhibition, entitled Perspectives on a Future City, that re-envisions the future form of Los Angeles. 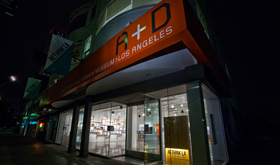 The exhibit is on display at the A+D Museum throughout the month of August 2011. 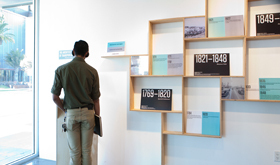 The exhibit will includes a timeline info-graphic of the historical growth of Los Angeles, a series of narrations that describe how LA arrived at its current condition, videos chronicling how people deal with this reality on a daily basis, and a discussion of how we can make policy and budgetary decisions now that will create a more sustainable future. The centerpiece of the exhibit will be 25 collages by local and emerging architecture professionals that illustrate this potential sustainable future, including Ashley Z. 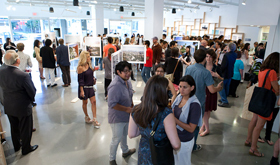 Hand with MOCK Studio, Rio Clemente Hale Studios, Fritz Haeg, Lehrer Architects, P-A-T-T-E-R-N-S, and more. MOCK Studio also worked to form rethinkLA and assist in the production of this exhibit and many more to come. 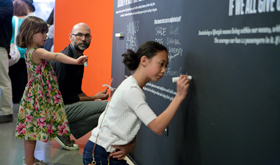 For more information on rethinkLA, click here. To see the MOCK Studio Collage for this exhibit click here.